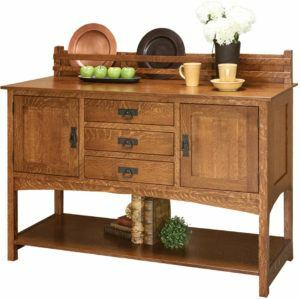 The Mission Supreme Corner Hutch has a beautiful mission style to it. Its glass doors with mullions even have a mirrored back and glass shelf. Thus, highlighting the items you display even more. Let’s not forget the LED touch lights. Now, you can admire your pieces in both the daytime and night. The light can even serve as a nightlight. Put this hutch in the corner and it will look as if it was meant to be there. In addition to all of this there is even closed storage space behind the bottom two doors and an open area for displaying your decorative pieces. For a quote, click on the “Customize This Product” button. 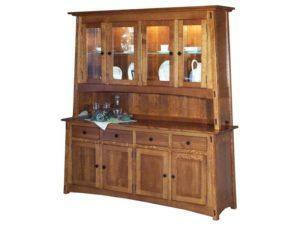 Then, choose from the wide selection of options available for this Mission Supreme Corner Hutch. Please visit us at Brandenberry Furniture in Shipshewana, Indiana. Then, you can see a wide selection of our quality crafted, solid wood, corner hutches in person. 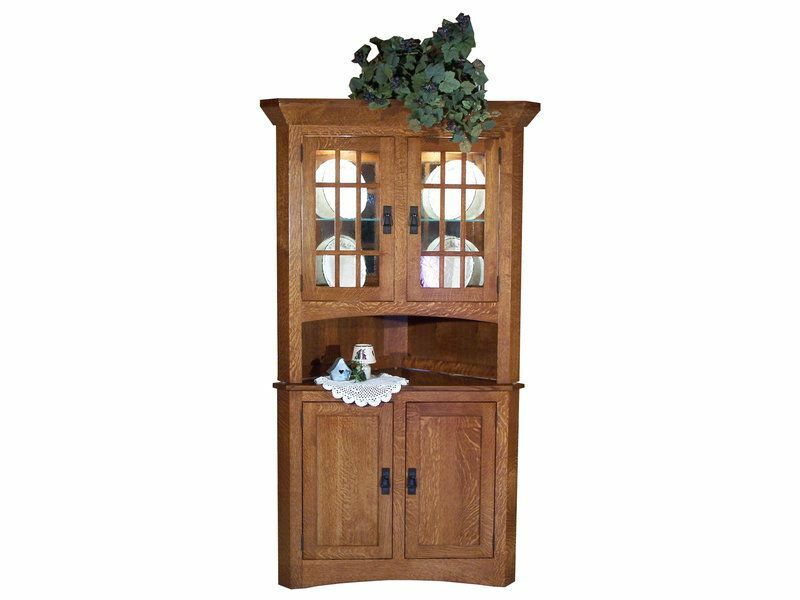 Additionally, you can call or e-mail us with any questions you may have, for help in customizing this hutch to meet your needs or for a complimentary price quote. We look forward to assisting you in any way we can.